Sweeping changes have occurred in the commercial real estate industry over the last decade. Firms offering traditional services can no longer compete. That’s why Whitley & Associates, Inc. broke with tradition long ago. Relative to brokerage, we have built an integrated team of professionals that consists of advisors from various disciplines backed by experts from such fields as governmental agencies, appraisers, health care, financial services, and property management. Their skills can be applied across the breadth of commercial and residential projects ­ from office buildings to condominium conversions, from municipal facilities to mixed ­use projects, from single tenant to multi-­tenant buildings to land development, and more. Our advisors stand ready to work with you wherever their expertise can be of value ­ in an advisory capacity; in sale/lease negotiations; or in facility, site, and land acquisition and disposition. As to valuation and consulting, we provide accurate valuations across all product types and regions. Our team uses the latest technology to deliver real-world answers for our clients. No two properties are identical; we approach every assignment from the ground up, analyzing the current market data, learning all aspects of the property and identifying emerging trends to produce dependable consistent solutions. We work to develop superior market knowledge at a national and local level. Our clients benefit from the integration of different service lines and the in­ depth knowledge it provides to produce timely and accurate reports. As President and Chief Executive Officer, Mr. Whitley is responsible for the day ­to­ day management of Whitley & Associates, Inc. He brings to this position over 25 years of successful leadership experience at various private real estate and appraisal companies. Before establishing Whitley & Associates, Inc. in 1997, he was the Senior Adviser to the President and CEO of Coldwell Banker Commercial Platinum Partners, focusing on commercial brokerage and leasing;he was a Senior Appraiser at Zittrouer & Associates, Inc., a Savannah based full-service appraisal and consulting firm; and Senior Adviser to the President and CEO of Colonial Investment Group, a private real estate brokerage and development firm. Mr. Whitley has been the broker of record for Chatham County for over the past decade and is the former contractual broker of record for the Savannah Chatham County Board of Education. In addition, he has been the primary appraisal review specialist, asset manager as well as Senior Adviser to the President and CEO of a nationally chartered financial institution. Mr. Whitley earned a B.A. degree from the University of Alabama at Tuscaloosa, and is a licensed Real Estate Broker and General Certified Appraiser in Georgia and South Carolina. He is a member of the Savannah Area REALTORS and the Realtors Commercial Alliance of Savannah and Hilton Head. 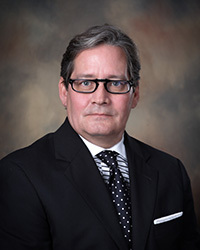 He is a two ­term Past President of the Savannah Commercial Board of Realtors, an Advisory Board Member of a nationally chartered financial institution and a candidate for both the CCIM and MAI designations. Mrs. Collins graduated from Armstrong Atlantic State University with a bachelor’s degree in Health Science during 2008. 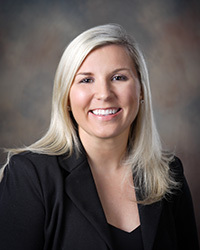 During her college years, she worked in the medical and healthcare related fields specific to Medicare and Medicaid billings for one of the largest volume private practice radiologist firms in Savannah. In 2008, she joined Whitley & Associates, Inc. as an associate advisor and registered real estate appraiser. Her primary focus areas are residential, professional and medical offices as well as retail sales and leasing. In addition, she is the Executive Vice President of Whitley and Associates, Inc. Property Management division. She is a member of the Savannah Area REALTORS, the Realtors Commercial Alliance of Savannah and Hilton Head and the Young Professional of Savannah. She is currently pursuing her Certified Commercial Investment Member (CCIM) designation and MAI designation with the Appraisal Institute. © Copyright 2019 Whitley & Associates, Inc.